The SM Group, through SM Cares, will build 200 houses in Barangay Polambato, Bogo City for the families who were affected by super typhoon Yolanda. SM Prime Holdings Inc. president Hans T. Sy led the groundbreaking ceremony with Cebu Vice Governor Agnes Magpale, Bogo City Mayor Celestino Martinez Jr., and SM Prime Holdings Inc vice president for Visayas and Mindanao Marissa Fernan last Saturday. A one-hectare property was donated by the heirs of Wenceslao and Margarita Briones Fernan, where the SM Cares Village will soon stand. 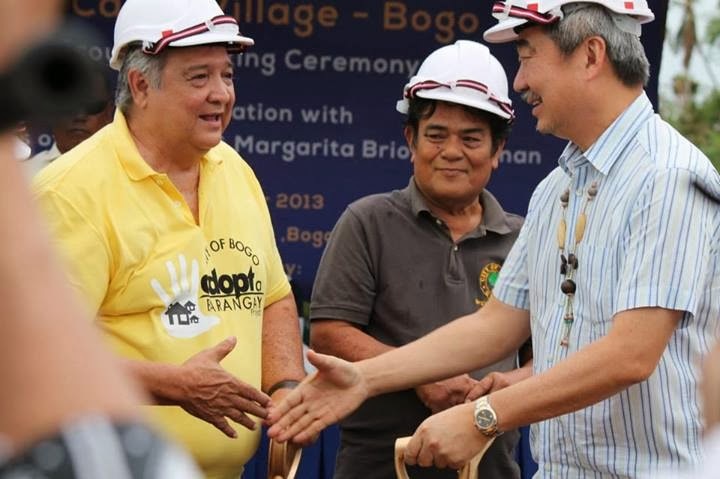 Each unit will cost P250,000 amounting up to P50 million for the whole project. Each unit will be built with concrete roofing, high ceiling, proper ventilation and utility-ready provision. The settlement are will have a 5-meter wide road network, a concrete perimeter fence, community center and a basketball court. Cayang's Brangay Chariman Celestino "Tining" Martinez III is the new president of the Association of Barangay Councils of Cebu Province. 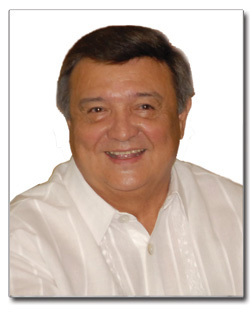 Martinez ran uncontested during the elections and claimed the ABC presidency by default, making him an ex-officio member of the Cebu Provincial Board (PB). Samboan ABC president Emerito Calderon stayed as vice president. He held the position since 2010. “I hope I can live up to the expectation sa tanan and most especially, I hope and I look forward to a very fruitful and successful league sa umaabot nga mga tuig,” Martinez told his colleagues after the elections. Martinez said that among his priorities is to work with the Capitol in extending assistance to typhoon victims in northern Cebu. 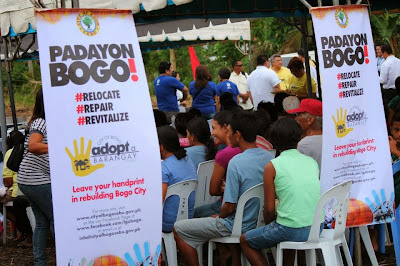 Bogo City is one of the areas severely devastated by the typhoon. He said that his being close to Governor Hilario Davide III, his ally in the Liberal Party, is a big factor to help the barangays. He then thanked Holganza and the rest of ABC presidents of the different component cities and municipalities for their cooperation. Holganza, meanwhile, assured the members of the league that they are in good hands under the leadership of Martinez. He bid farewell to his colleagues in the PB during its session last Monday. To all those who, in one way or the other,have given us a helping hand when we were down on our knees, we have no signature big enough to mark our gratitude for what you have done for us. As "Padayon Bogo" has always been our mantra, rest assured you have given us encouragement, added strength and the will to move on. We may not be able to return your kindness (although we sincerely hope we could), but we hope and pray that God repay you all a hundred fold.